On Thursday, September 28th,we will start our excursion from hotel THE MET at 13:30 by visiting Vergina (one hour and fifteen minutes’ drive from Thessaloniki), a World Heritage site. You will visit all the treasures of the royal tomb, identified as that of Philip II, who conquered all the Greek cities, paving the way for his son, Alexander and the expansion of the Hellenistic world. Free time for souvenirs. We continue by visiting a unique monastery near the city of Veria, Timios Prodromos monastery, where many saints from the Greek Orthodox Church have lived and followed monasticism. Free time and return to our hotel around 18:30. The byzantine period of the city is one of the most important of its history. In the beginning of the tour we will have the opportunity to see some parts of the very well preserved Byzantine walls of the city on the way to the upper town (AnoPoli) with its traditional architecture. We are having a stop in front of the Trigonion Tower to admire the best view of the city and after our stop we are visiting the small church of St Nicholas The Orphan which is known for its wonderful frescoes that cover almost all its interior walls. This church was built during the 14th century, the golden century of the city.Then, we are visiting the Basilica of St Demetrius which was built in the 5th century and it hosts mosaics and frescoes from different periods of the Byzantine era. Our next stop is Rotunda, one roman temple that combines the whole history of the city. 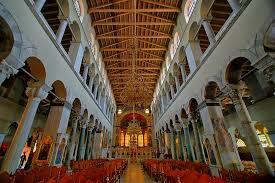 Its interior is decorated with early Christian mosaics of unbelievable colors and beauty. 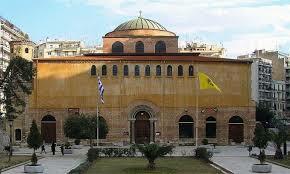 After Rotunda we are going to visit Aghia Sophia another very important byzantine church of the city. One of the most beautiful mosaics of the church is the one decorating the dome and it depicts the Ascension of Jesus Christ. Price per person € 35,00. 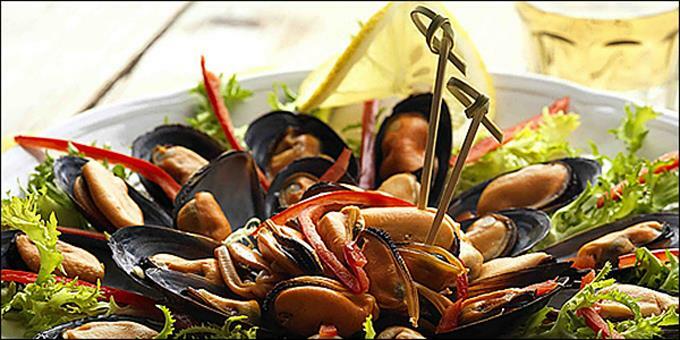 Price includes transfers with luxurious bus, entrance fee at Rotunda, official English speaking tour guide. Departure from the Hotel for the best introduction to Thessaloniki. A panorama drive through the city will introduce you to all the main sites and monuments of exceptional historical importance. With our tour guide we will walk through the tiny streets with traditional houses that lead to the Byzantine walls and towers and will stop at the Citadel to enjoy a panoramic view of Thessaloniki. Later, we will stop at the early Byzantine basilica of Saint Demetrious, built on the ruins of a Roman bath where the patron saint of the city lost his life. Moreover we will have the chance to see the Ancient Roman Agora (Forum) of Thessaloniki. Additionally, you will see the International Fair of Thessaloniki grounds and the University area. The triumphal Arch of Emperor Galerius. The excellently preserved circular “Rotunda”, and there will be time to take a look at the Galerius Mausoleum. 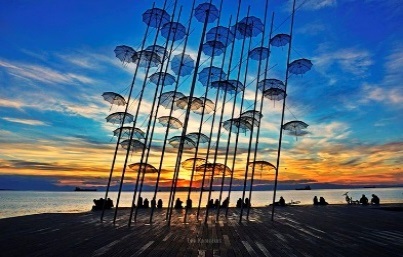 We will make a photo stop in front of the White Tower - the symbol of Thessaloniki - that stands on the waterfront, and we will walk a bit further to take picture in front of King Alexander’s of Macedonia statue. Price includes transfer with luxurious bus, entrance fee at Rotunda, official English speaking guide.